In 2016 we have followed up farmers who attended our training on ecological farming in order to evaluate our activities. We found that they grow perennial plants like chaya, moringa, and “ngub” (sauropus androgynus), which are highly nutritive and are easy to grow. Some farmers told us that their familes became healthy by using these plants in their daily meals. We also noticed the increase of farmers who utilize old tires as planters for growing vegetables and herbs. Regarding food processing, a number of farmers requested us to do more training, as they don’t fully understand how to process foods. 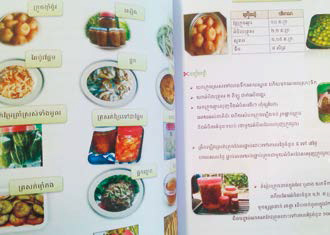 We therefore published a handbook on food processing, which covers recipes for 30 kinds of processed foods and will be useful in future trainings. 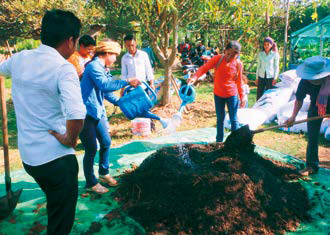 Training for making compost at the JVC farm. For environmental education and reforestation, it is important to motivate teachers and students to continue the activities independently. In 2016, we have invited elders of villages to three primary schools, where we conduct environmental education. The elders talked about the history and former life in the village in a meeting called “listen to the talk”. Students learned about the importance of nature by listening to previous experiences of these village elders. We also organized an event called the “forest walk”, in which students walked through neighboring forests guided by the members of the local forest committee and experienced former life there. 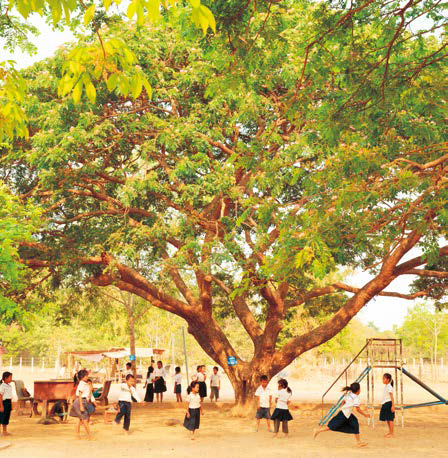 These activities allowed students to learn the richness and importance of nature. The teachers and elders, who gave the talk, also told us that, “We want to recover the rich nature which existed before and pass it to next generation.” They are now making seedlings for afforestation together with students. 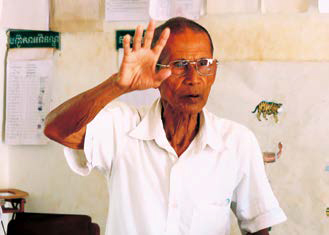 An elder tells the history of a village at the meeting “Listen to the talk”. Students listen to the talk by an elder.